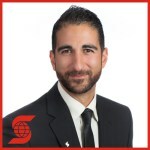 There are a number of financial institutions but the Pinizzotto Team has an excellent working relationship with Milad Massoudi, Home Financing Advisor with Scotiabank. Milad can arrange pre-approved mortgages for our customers. Scotiabank offers excellent mortgage financing packages with creative financing solutions and they are tailored to your financial requirements. We would suggest you contact Milad and he can provide you with facts on mortgages.